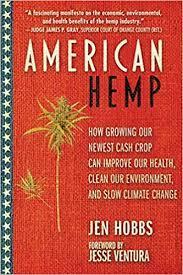 Monday, April 15, 2019 – Jen Hobbs is the author of “American Hemp, how growing our newest cash crop can improve our health, clean our environment and slow climate change.” It’s a topic of considerable interest for a state like North Dakota, which is well-suited for the crop. ~~~ Boredom happens. Sometimes it can be addressed with a change of attitude. Essayist Alexandre Cyusa has tips in “Seven Ways of Engaging the Prairie.” ~~~ Will the recent storm create another crest on area rivers? That’s the type of question drones can help answer. Terri Zimmerman, CEO of Botlink, and Joey Schmit, CEO of FlightProsND join us to discuss drone use, plus the issue of FAA regulations that ensure drone operators do not violate privacy or safety when operating over people . There are only a handful of companies in the nation allowed to operate in populated areas, helping the FAA establish those safety guidelines.